In our experience as real estate professionals, we've found that it's not just about the facts. Providing the very best service is essentially about putting our clients first. This means keeping ourselves accessible, being good communicators, and responding quickly to your needs. So when you decide that you'd like to buy or sell a home in the entire Greater Lansing areas, please contact us at BandD@tomieraines.com. Chad is a longtime area resident, a Realtor for 15 years, and knows the market well. Chad is Quality Service Certified® and is a partner in Birchen and Dutcher, one of the highest producing teams in the market area. Chad works successfully with buyers at all price points including 1st time buyers, investors, and move-up buyers. Chad’s consistently high production is built on client referrals and his testimonials can be viewed on tomieraines.com. Liz grew up in Holt and moved back to that area with her family. She is active in the community and very familiar with the Greater Lansing real estate market. She studied Communication and Vocal Music Performance at Western Michigan University and still enjoys composing and performing music in her spare time. The personal connection and customer service aspect of real estate was what originally drew her to this career. The Birchen & Dutcher Team is excited to have her with us! Heather was born and raised in the Lansing area and resides in Bath. She knows the area real estate market well. Before beginning her real estate career, Heather had a successful business career as a mortgage loan officer and owned a local business. Her connections in the industry make her an excellent resource for all your homeownership questions and needs! Brenda has been a resident of East Lansing for over 55 years. She enjoys performances at the Warton Center and is Spartan hockey, football, and basketball fan. 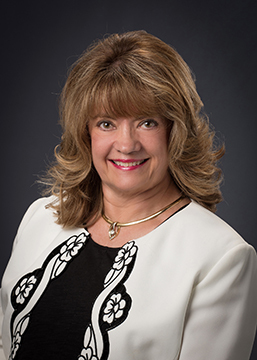 Brenda joined Birchen and Dutcher after over 35 years in the banking industry, to broaden her knowledge in real estate and start a new and exciting venture. Customer service and attention to details are important to her as she meets the challenges of an active real estate practice.